This has become one of my favorite places to shoot in South Florida. Miami's Wynwood Art District has really gained popularity since E9's first shoot there a few years ago. Home to Art Basel and just about every coffee drinking hipster in the region, the neighborhood boasts some of the best city wall art in the country. 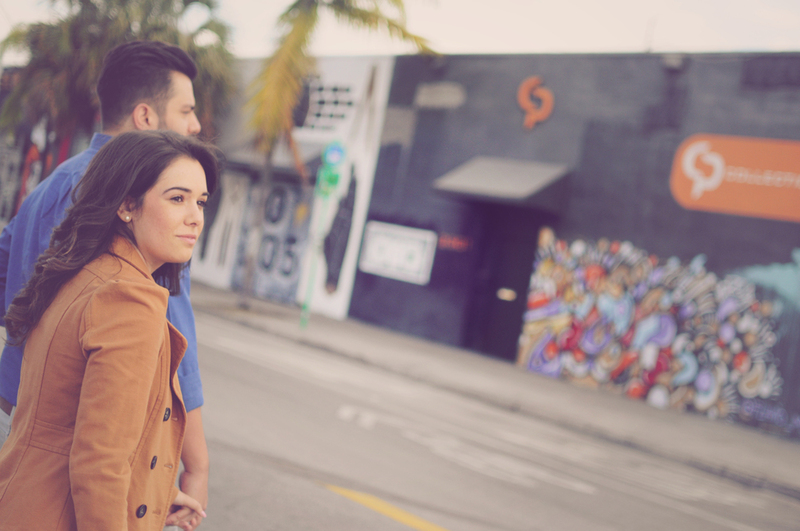 Christine & Jose, both designers, live just a few miles south in downtown Miami, so it was only natural that we shoot their engagement session in one of the hippest and most artistic and colorful neighborhoods the city has to offer.